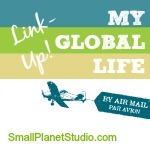 I was going to share Part IV of the five-part series I wrote on Emotional Resilience in Expat Life, but because it ran a little long, the great folks over at I Am Expat made the good decision to break it into two parts when they published it. This first part looks at ways in which, when going through transitions, we need to do our best to ‘leave well to enter well.’ David Pollock and Ruth Van Reken have also expressed their concept with ‘grieve well to leave well’ and ‘to leave right is the key to enter right’. However it is phrased, it pertains to both those staying and those leaving. I hope you’ll take a look at RAFT (reconciliation, affirmation, farewells and think destination) and see how it might help you or someone you know during this time of year (also known as ‘expat exodus’ in many parts of the world). And at the risk of repeating myself, RAFT and the transition process, as well as the need for emotional resilience, pertain to everyone, not just expats. This IS important to everyone whether expat or not and relevant in so many life changes/transitions, not just the ‘expat exodus’. Emotional resilience is something we could all use in life’s toolbox.